This week's Nintendo Wii update brings with it a couple of WiiWare titles from Aksys and High Voltage Software, and MUSHA - one of the most expensive Genesis games you're likely to find. We'll do the Virtual Console this week first, as I am extremely excited to see MUSHA (800 points) showing up on the service. M.U.S.H.A. is a classic shooter that places you inside the Metallic Uniframe Super Hybrid Armor as a girl named Terri, who must save humanity from the out-of-control supercomputer, Dire 51. The original game is the gem of many a game collection, with eBay prices often set to ridiculously high, as in upwards of $200. Yikes. On the less expensive side of things we have High Voltage's High Voltage Hot Rod Road Show (1,000 points), an off-road racing game for up to four players, and Family Glide Hockey from Aksys (500 points), which is glide hockey...for the family. I know what I'm picking up this week. Do you? Wii™ owners know all about the power of motion, and this week's additions to the Wii Shop Channel deliver some cool new reasons to keep on moving. Race, jump and skid in a high-powered hot rod. Slide, shoot and score in a glide hockey showdown. Soar, swoop and battle in a futuristic armored fighter. With fun, invigorating games like these, the only thing you won't be able to do is sit still. Family Glide Hockey (Aksys Games, 1-4 players, Rated E for Everyone, 500 Wii Points): Daddy, Mommy, Sarah and Billy are back for more family fun, and this time it's glide hockey. Hone your skills in a gymnasium, a forest park, a beach, an amusement park, even the freezing Arctic. Family Glide Hockey sports appealing cel-shaded graphics and endearing music to go with its friendly, competitive match-ups. Choose between single-player mode, versus mode (up to four players can play), or challenge your skill in engaging minigames such as Glide Hockey Brawl, Glide Hockey Drill and Glide Hockey Tracer. 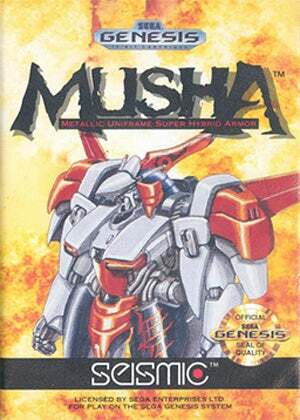 MUSHA™ (SEGA GENESIS, 1 player, Rated E for Everyone—Mild Fantasy Violence, 800 Wii Points): MUSHA is a SEGA GENESIS game that shooter fans favor for its intense and exciting gameplay. Players must control Terri, a girl who pilots a MUSHA (Metallic Uniframe Super Hybrid Armor). Terri's goal is to eliminate Dire 51, an Intellicomputer that has gone out of control and is planning an offensive attack upon humanity. Use special weapons like the Vanishing Buster, Blazing Beam and Defensive Detonator, along with offensive options that allow six types of formation fire. Battle through seven exhilarating levels to finally reach and destroy Dire 51 once and for all.